Is this how you're maintaining the temperature of your expensive samples? MéCour wishes to thank all those who visited the booth during the show. It was great seeing old and new faces and discussing particular applications that our new thermal units and systems could support and enhance the end results. The hotel's compact footprint fits with new or older versions of the CTC PAL (main visual below). A powerful, yet economical Huber Minichiller circulator provides constant uniform temperature to the hotel and adjacent PCR plate and 24-vial unit and the cooling chamber that envelopes the valve to maintain constant reproducible temperature stability to entire MéCour system. 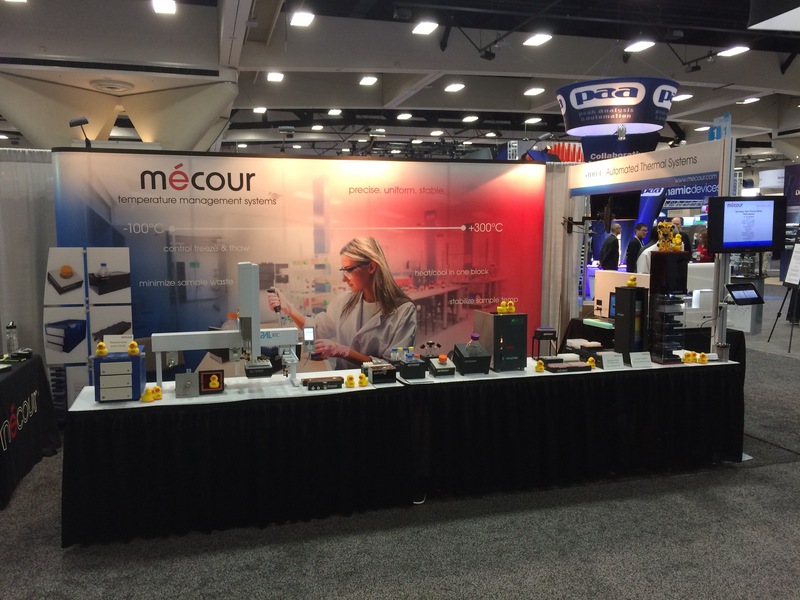 This year we made our first appearance at Analytica in Munich, Germany, and it was a great success! 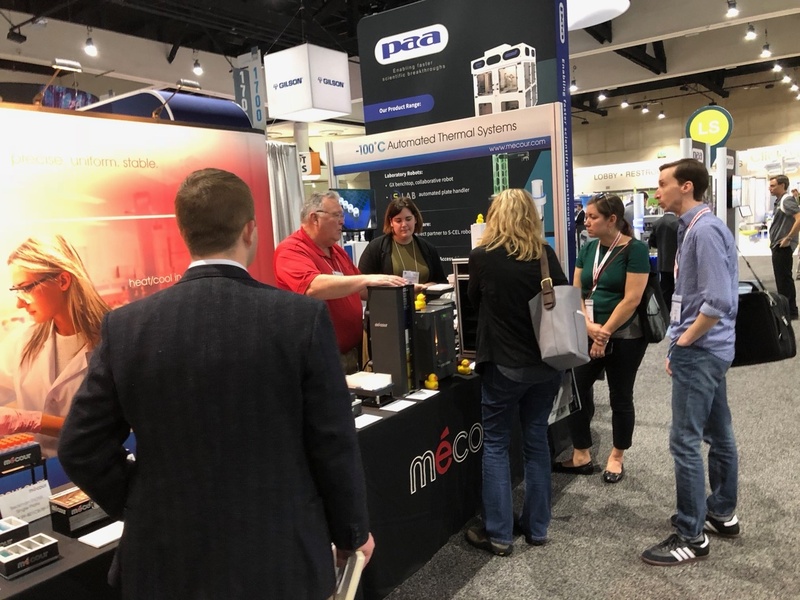 The introduction of our wide range of thermal units that provide stable, constant temperature management was well received with both curiosity for first time viewers, like our youngest booth visitor on the left, as well as from the majority of our visitors. 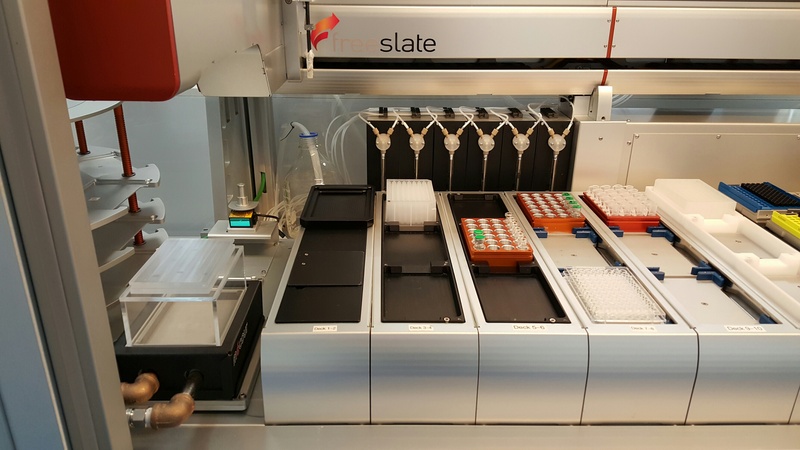 There was relief that such systems do exist to resolve their erratic and unreliable temperature control problems encountered when trying to stabilize sample temperature. 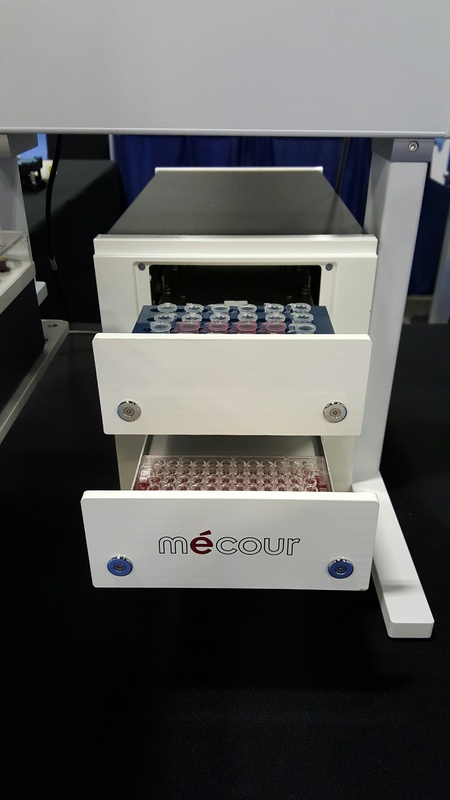 The most popular units seemed to be the Reagent/Media Bottles as well as the low temp systems required for BioBanking procedures and cell prep and storage applications, requiring temperature management from 0°C down to -95°C. One of our best events is SLAS. This year, it was another well-attended show with even higher booth traffic that kept the MéCour staff quite busy. We always look forward to seeing our customers as well as welcoming new faces who are interested in modern temperature management alternatives for their laboratory applications. We enjoy working with our wide network of partners to offer customers temperature management systems that protect the integrity of their valuable samples. 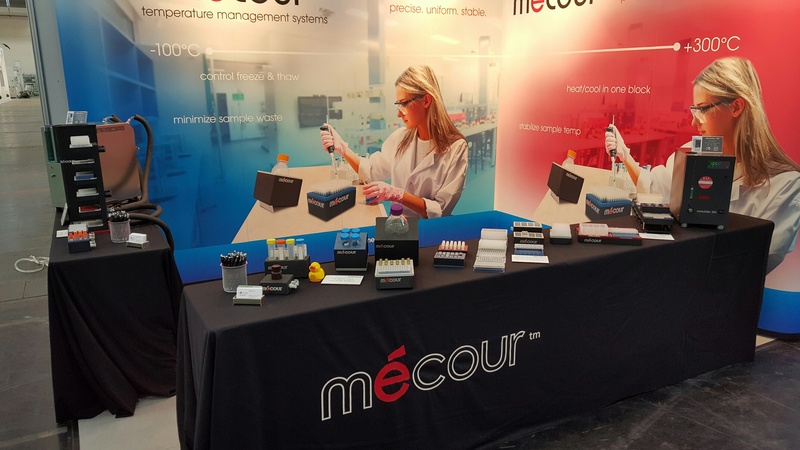 "You determine the time, let MéCour control the temperature"
That was our theme at this month's ASMS conference where attendees stopped by to talk about the temperature control challenges they were having with their laboratory applications. 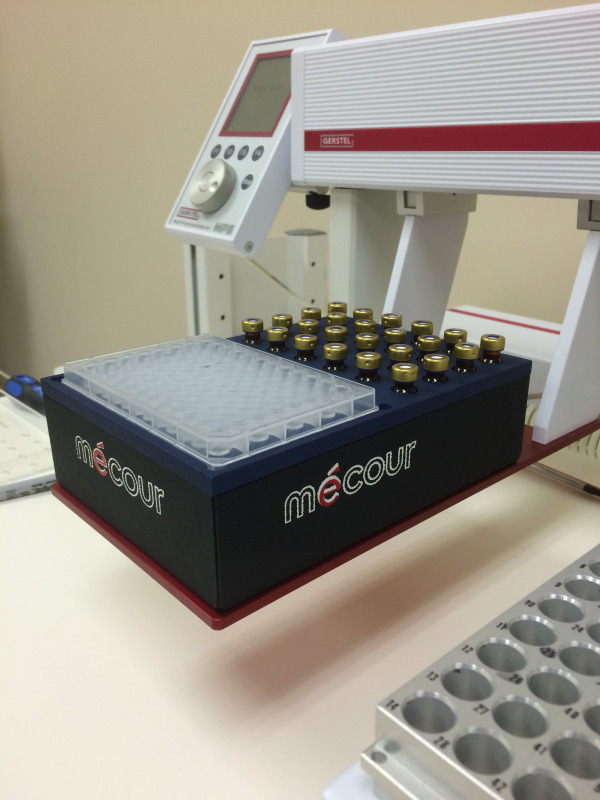 Ice cubes, dry ice and cooling baths continue to be a common temperature control solution, but we all know that isn't the optimal way to treat your expensive laboratory samples and ensure quality results. We continuously receive requests from customers and prospects who have used thermal electric devices and achieved poor results from their applications. These common situations have prompted us to produce this blog post with five ways that precise, uniform, stable temperature control is the answer for the best sample quality and application results. We have been producing Thermal Inserts longer than anyone else, dating as far back as 1999 and demand-driven by our customers. It was simple - place any type of microplate on any type of thermal surface at any temperature, and you had a problem. There is an air gap on all plates that exists under the plate from the bottom of the wells or cap to skirt or perimeter of the plate's base. The problem is that air does not act as a very good thermal transfer medium. New GERSTEL Temperature Control System & "Condensation Terminator"
Introducing the latest in our accurate and uniform temperature control systems: MéCour's thermal trays that can be configured to integrate with a GERSTEL MultiPurpose Sampler MPS WorkStation or sample preparation robot, independent of the chromatography system. Sample preparation steps are easily set up for maximum flexibility and ease-of-use without compromising sample integrity due to temperature instability. 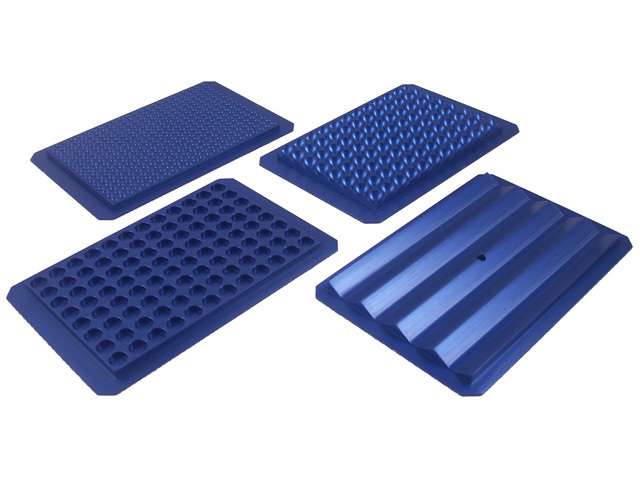 The thermal trays can be designed to accommodate any consumable plate, vial or tubes and provide a temperature range between -40˚C to +200˚C. 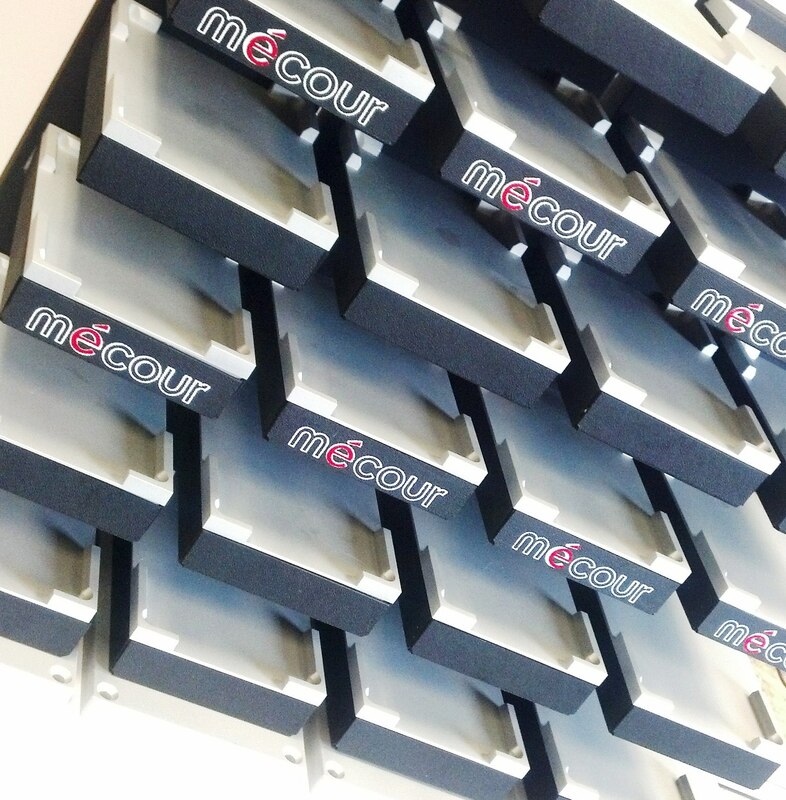 You are able to conduct specific ramping cycles all within the same MéCour Thermal Block. Is Your Current Temperature Control System Working For You? MeCour in its ongoing efforts to address and resolve your temperature control and management issues had a little fun shooting a dry ice photo session. 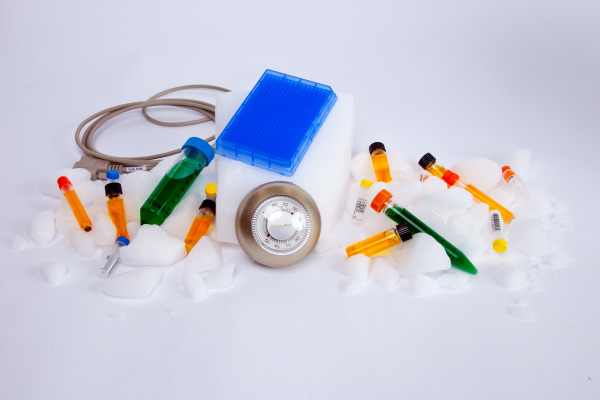 As you will see in all of our Product Catalog sections (with exception to Thermal Inserts), we wanted to illustrate how unfortunately dry ice or regular ice does not fully envelop and transfer temperature to the samples contained in various consumables.